Co-operatives are democratic organizations controlled by their members, who actively participate in setting their policies and making decisions. Men and women serving as elected representatives are accountable to the membership. 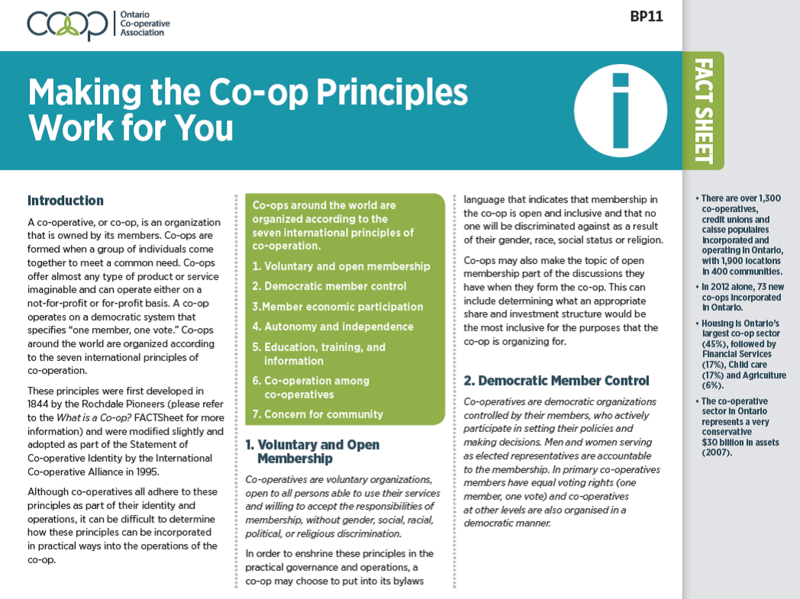 In primary co-operatives members have equal voting rights (one member, one vote) and co-operatives at other levels are also organized in a democratic manner. Click on the image to learn how you can make the seven principles work for your organization!